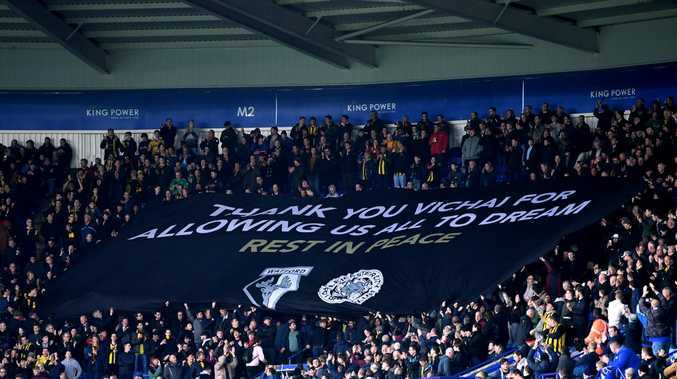 Leicester have given Watford fans at the King Power Stadium free food and drink to after the visiting supporters unveiled banners praising the Foxes' late owner Vichai Srivaddhanaprabha. One banner read: "Thank you Vichai for allowing us all to dream. Rest in peace." The second listed the names of the four other people killed in the helicopter crash just over a month ago. The game was the second Premier League game played at Leicester's home ground since Srivaddhanaprabha's helicopter crashed just outside the stadium moments after taking off. Watford fans' group The 1881 Movement raised money for the banners, with the excess of $3000 to be donated to a Leicester foundation supported by Srivaddhanaprabha. The fans' group then announced that Leicester's vice-chairman Aiyawatt Srivaddhanaprabha, son of Vichai, had offered complimentary food and drink at Saturday's match as a thank you gesture.